If the imminent arrival of the Pumpkin Spice Latte (and its accompanying all-new fragrance) still aren’t enough to appease the pumpkin spice lover in you, then rejoice: there are a few new fall-perfect goodies that have got your name written all over it. 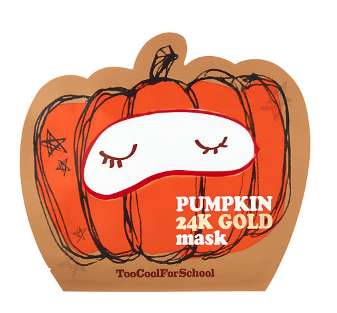 And it is (drumroll, please)… Too Cool for School’s pumpkin-infused skin care line. If you’ve yet to hear the good news that is Too Cool for School, then allow us to enlighten you. This Korean beauty brand is known for punchy beauty products that pack on the personality as well as amazing skin benefits. There’s the Dinoplatz line, which (as you probably guessed) is a dinosaur-themed offering of beauty products that includes a lip balm and blotting sheets. And of course, they’ve got their egg-inspired goods, from a hydrating mask to a mousse face wash. (And yes, it sounds egg-cellent). As for their heavenly-scented pumpkin skin care products, Too Cool for School’s only got two available thus far. 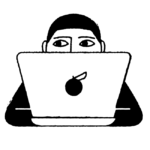 But trust us, they’re worth the hype. Because not only will your skin feel velvety smooth and just-like-new, but it will also smell like your favorite Starbucks classic. In our books, that’s what we like to call a win-win situation. Firstly, there’s the Pumpkin 24K Gold Sheet Mask, $8. Good for all skin types, this one-use bio-cellulose sheet mask fights dull and dry skin, and promises to smooth any rough spots. Chocked full of skin-nourishing goodness like beta carotene and Vitamin A, this pumpkin-scented mask is just as good as it smells. Then, there’s the Pumpkin Sleeping Pack ($20), an overnight mask filled with enzymes that return the skin to a glowing, radiant state. The gel moisturizer has a barely-there formula that makes night time moisturizing more a treat than a chore. And of course, it smells like pumpkin heaven. Both products are up for grabs at Sephora now, and rather moderately priced, might we add.